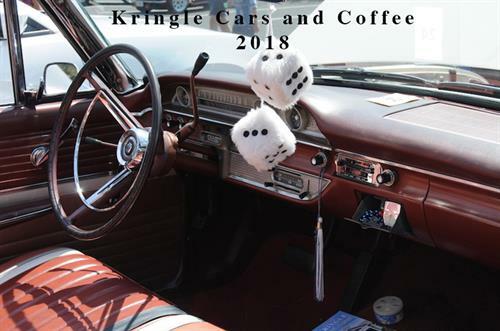 Kringle Cars & Coffee premier car - this rain or shine event is free to attend and free to exhibit. Come see great classic cars and vote for your favorite domestic and import model. A people's choice award goes to the winners. The Kringle Café will be open for coffee and sweets. Don't miss the first Cars and Coffee Sunday for this 2018 season. Cars & Coffee is held every 2nd Sunday of each month through October except in May, the event is held on the 3rd Sunday. Second Sunday each month (except May), from 8 to 11 a.m.
Free to attend and free to exhibit.